Four members of Nowra travelled to Forster for the annual Forster spring association carnival held August 31st to September 4th. Jim Elston won all five of his games and reduced his handicap to 4.5 in the process. Jim was a clear winner from June Nixon (Forster) who won 3 games. Margaret Sawers was runner-up in her block winning 4 out of 5 games The Winner was John Coates (Forster) with 5 wins only beating Margaret 18/15. 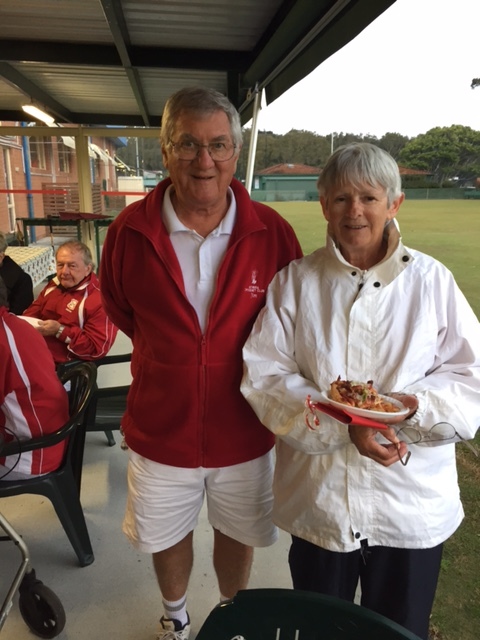 The runner-up was decided in the last game between Dereck Burrows (Sawtell) and Margaret with Margaret winning 21/18. Graham Cullen won 3 games from 5 and John Deeves won 2 from 5.